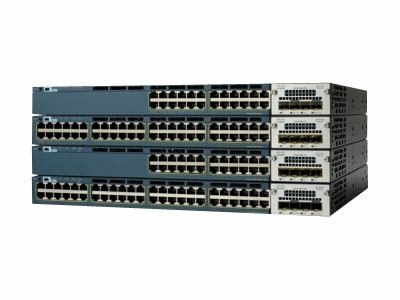 In addition to PoE 802.3af, the Cisco Catalyst 3560X Series Switches support PoE+ (IEEE 802.3at standard), which provides up to 30W of power per port. The Cisco Catalyst 3560X Series Switches can provide a lower total cost of ownership for deployments that incorporate Cisco IP phones, Cisco Aironet wireless LAN (WLAN) access points, or any IEEE 802.3af-compliant end device. PoE removes the need for wall power to each PoE-enabled device and eliminates the cost for additional electrical cabling and circuits that would otherwise be necessary in IP phone and WLAN deployments.